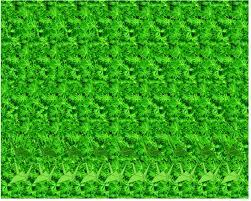 This is one of those pictures that if you are able to look through it, a 3-D image pops out at you (a stereogram). Friends and family alike would take a quick glance, and say oh - of course it is a (I won't ruin this one for you if you can not yet see it) and try as I might, I would still just see a weird picture. I would stare, turn the picture, cross my eyes - but the harder I looked, the less I saw. What I was looking for was right in front of my face, but I just did not have the right perspective. I think innovation is often a very similar situation. Rarely does innovation mean creating something brand new that has never been done before. Often innovation is the ability to take a new look at a problem or a structure and be able to suggest and implement a new method or initiative that exists elsewhere, but is new to that association. As a brief example, I once worked with an association that wanted to connect with a greater number of students. They had reduced student membership so it was free, and communicated this change to the chapter advisors. Wondering what more had to be done, it eventually became evident that to have a stronger relationship with the students, they had to talk to the students and student leaders directly. Certainly the concept that direct communication builds a tighter connection is not new, yet in this circumstance it was innovation at its finest - simple, new for the association, effective and sustainable. Yes, innovation takes hard work, planning, execution and evaluation. For all the effort that goes into innovation, if we do not first have the right perspective, we will never be able to see the problem clearly enough to find the right solution. After we can see the whole picture, hopefully innovation jumps off the page at us. 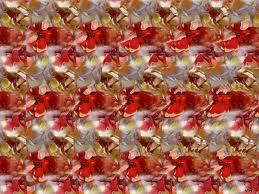 They say the best way to see a stereogram is to relax.....is the same any less true when we seek to innovate?